Whilst browsing my photo library I came across this picture from 2005 and following a good chuckle and reminiscences, decided it was definitely worth a post! 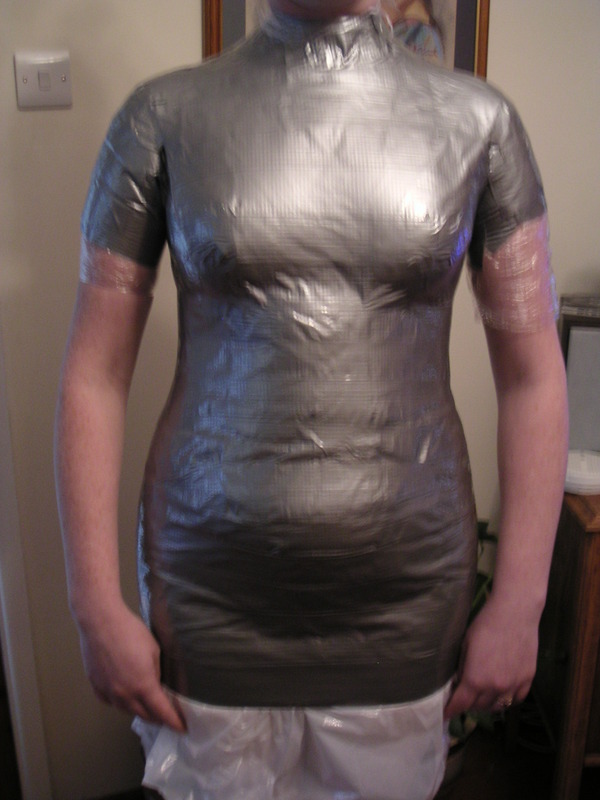 This is how I made a half-dozen duct tape dummies for my daughter who was getting married and her six bridesmaids who were all over the county. Not having all of them available to fit whenever I needed them, I decided that this was the solution because I would have an exact replica of each of them. 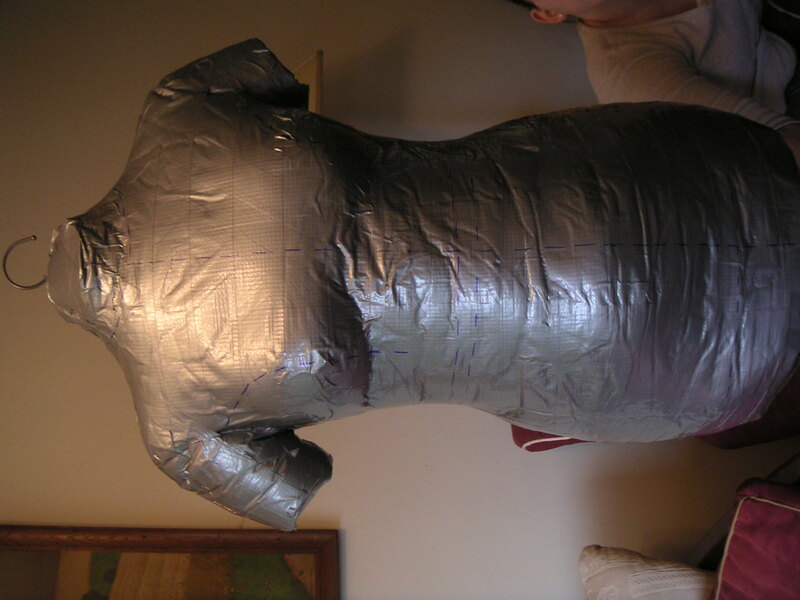 One t-shirt, three rolls of duct tape, wadding or stuffing, a broomstick, stand and three hours later and this is the result…. A true likeness and quite surreal seeing yourself perfectly copied standing on a broomstick in a corner! If you want to know how to make your own drop me a line and I will give you some instructions. « Need I say more??? ?